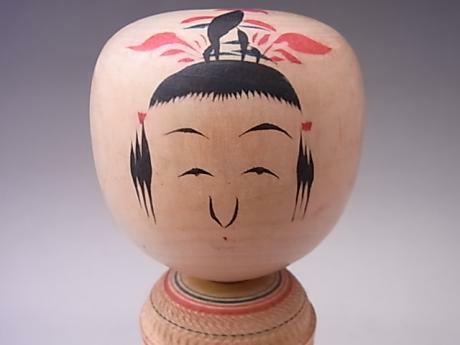 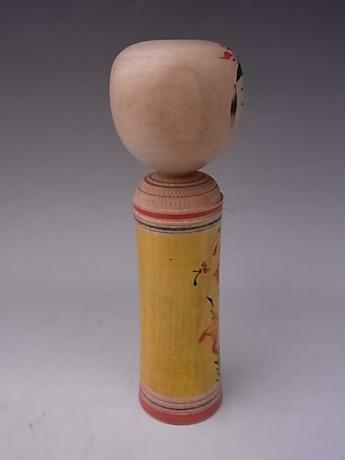 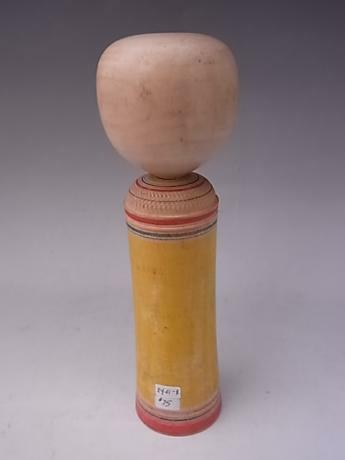 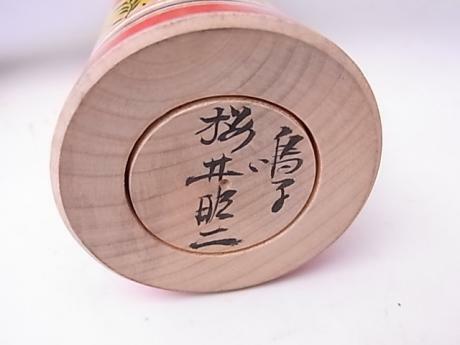 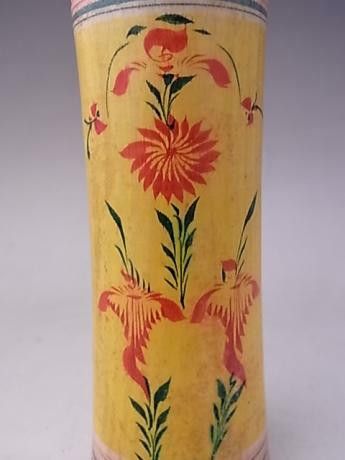 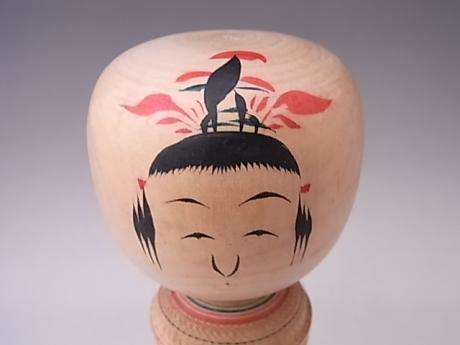 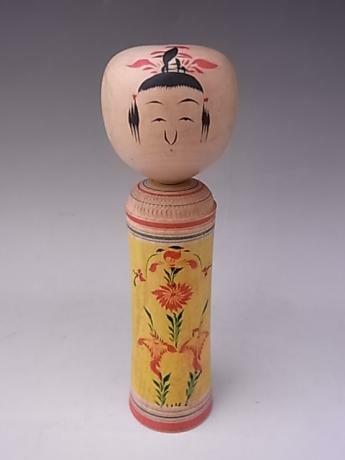 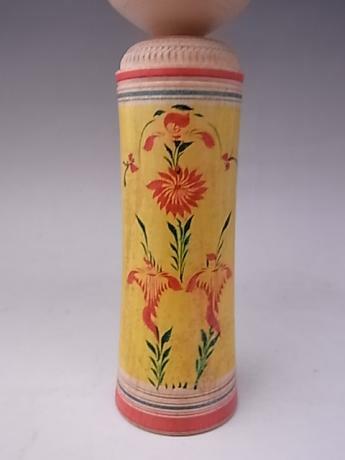 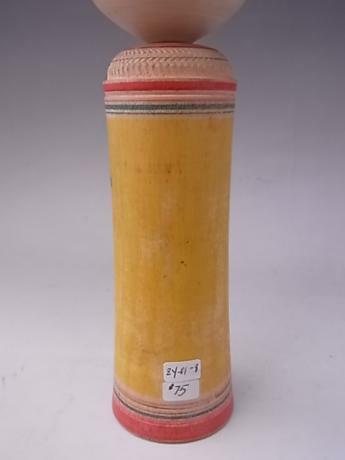 Description: Japanese 20th century medium KOKESHI doll. 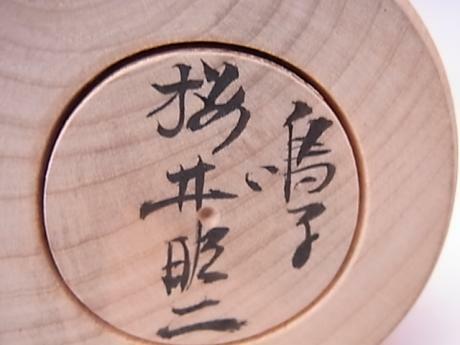 Signed by artist on base. 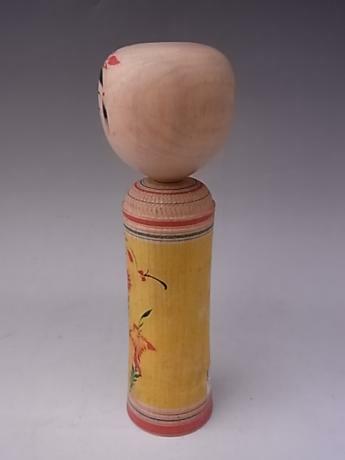 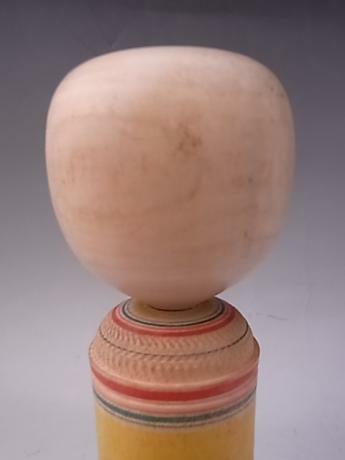 This doll stands 9 1/2" tall, with a head with a 2 3/4" diameter and a base with a 2 3/8" diameter.